Futures for the Dow Jones Industrial Average today (Tuesday) showed a decline of 158 points as concerns about falling energy prices rattled investors in both Asia and Europe. On Monday, the Dow Jones dropped 117 points after oil prices fell to six-year lows as concerns about oversupply rattled trader sentiment. 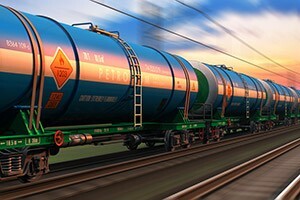 Shares of Exxon Mobil Corp. (NYSE: XOM) and Chevron Corp. (NYSE: CVX) were both off roughly 2.6% and were the biggest drags on the Dow Jones. The downturn in energy prices was positive for the transportation sector, specifically airline stocks. The S&P 1500 airlines index jumped 2% to its highest level since January. The Stock Market Today: On Tuesday, keep an eye out for the NFIB Small Business Optimism Index and the JOLTS report. Any strength in U.S. job openings would signal a decline in available labor in the economy at a time that is considered by the U.S. Federal Reserve to be "full employment." 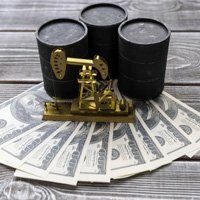 Oil Outlook: Oil prices were up slightly, hovering near seven-year lows as concerns about a global glut surged on news that OPEC does not plan to slash production and will instead focus on protecting market share. January WTI prices added 0.7% to hit $37.91 per barrel. Meanwhile, Brent oil crude added 1.0% to hit $41.16. Here's why oil prices remain under pressure. Earnings Report No. 1, COST: After the bell, Costco Wholesale Corp. (Nasdaq: COST) will report first-quarter earnings. The wholesale retailer is expected to report per-share earnings of $1.17 on revenue of $27.629 billion. The stock was trading at an all-time high on Monday after analysts stated that the retailer showed solid sales at its locations during November. Earnings Report No. 2, AZO: Before the market opens, AutoZone Inc. (NYSE: AZO) will report fiscal first-quarter earnings. Wall Street anticipates that the auto retailer will report an EPS of $8.21 on $2.39 billion in revenue. Signs point to positive earnings after the company witnessed a large inflow of net capital and Oppenheimer raised its price forecast to $850 per share. Additional companies reporting earnings include Toll Brothers Inc. (NYSE: TOL), Krispy Kreme Doughnuts (NYSE: KKD), Smith & Wesson Holding Corp. (Nasdaq: SWHC), Conn's Inc. (Nasdaq: CONN), ABM Industries Inc. (NYSE: ABM), and John Wiley & Sons Inc. (NYSE: A). Stocks to Watch No. 1, YHOO: Shares of Yahoo! Inc. (Nasdaq: YHOO) are in focus as a surprise possible suitor emerged on Monday night for its Internet business. Fran Shammo, CFO of Verizon Communications Inc. (NYSE: VZ), said that the nation's largest wireless carrier might consider purchasing the Internet division if it is a good "strategic fit." Last week, Yahoo's board of directors met to consider several options to boost shareholder value, including the sale of its Internet division and the spin-off of its stake in Alibaba Group Holding Ltd. (NYSE: BABA). Stocks to Watch No. 3, CMG: Shares of Chipotle Mexican Grill Inc. (NYSE: CMG) were off again this morning on news that the Centers for Disease Control and Prevention Friday said Chipotle's E. coli outbreak has spread to new states, including Massachusetts. But this is just the beginning of a massive sell-off for Chipotle stock. Here's why you should avoid Chipotle stock in 2016. Stocks to Watch No 4, YUM: Investors are keeping an eye on shares of Yum! Brands Inc. (NYSE: YUM) on news that its CFO Patrick Grismer plans to resign and leave the company on Feb. 19. The company has begun an internal and external search for a suitable replacement, according to a company statement.